There certainly are a lot of Rocky films, aren’t there? Boxing. You either love it or you hate it or you feel some other way about it but without doubt it’s one of the, if not the, most represented sport in cinema. Raging Bull, Hurricane, Cinderella Man, The Fighter and Million Dollar Baby come to mind without even having to YaGoogle-ise it. 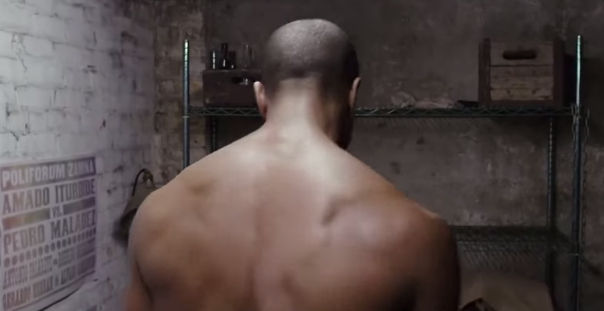 Creed is the latest entry in the boxing series and another cheerful reminder of Sylvester Stallone’s lack of neck. It’s directed by Ryan Coogler, who brought our moods down with 2013’s fantastic film, Fruitvale Station. Where are all these people are turn up in droves to watch boxing movies? Creed stars Michael B. Jordan, Sylvester Stallone, Graham McTavish, Tessa Thompson and Phylicia Rashad and is set for release in November, 2015.